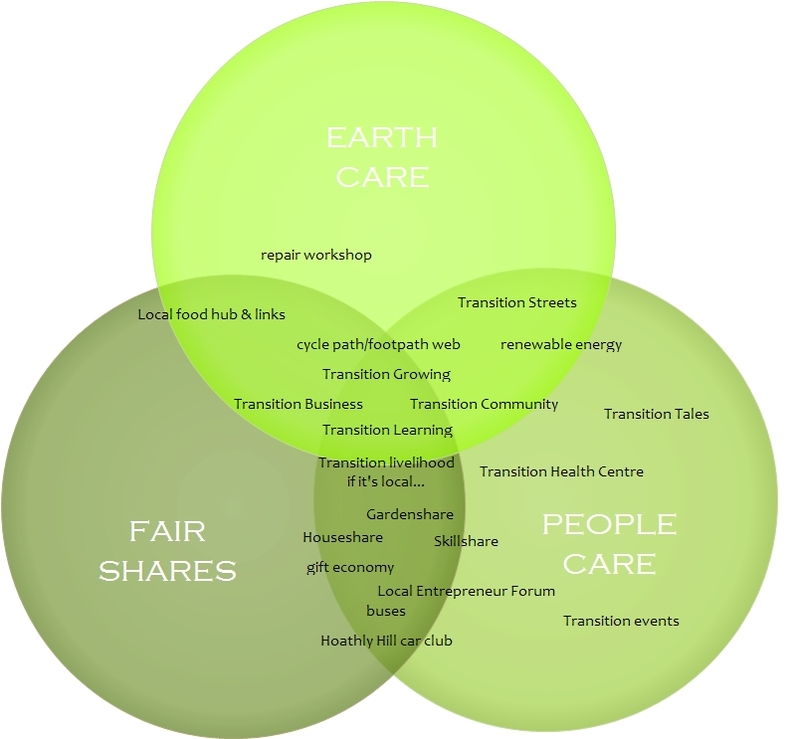 Bearing the key points of intervention in mind, I revisted the Transition projects I listed in the survey and analysed if they were at the permaculture ‘sweet spot’. 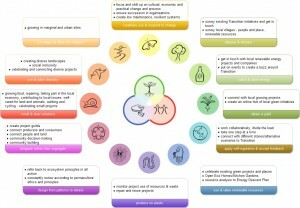 I also generated design ideas using permaculture principles. 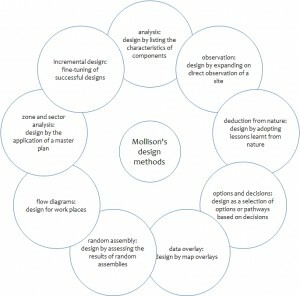 I also explored how I could apply Mollison’s design methods. 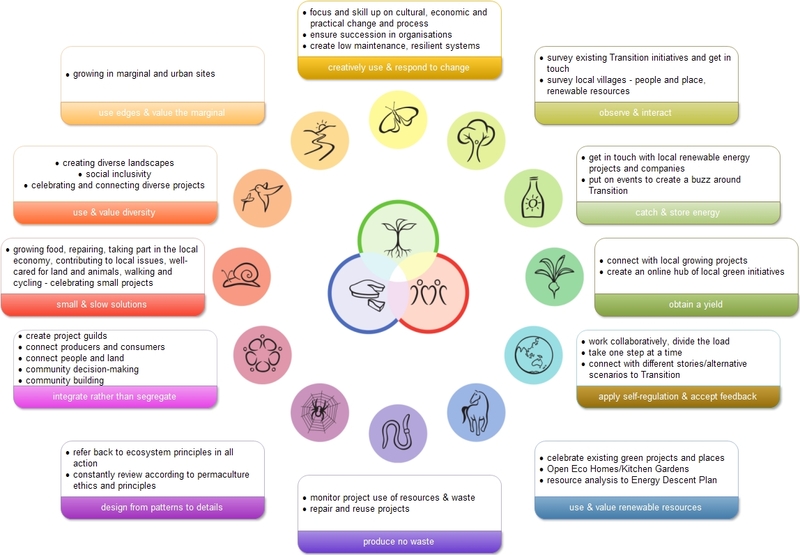 This analysis was a little artificial in that I was not analysing real projects, however it was interesting in that it seemed that the creation of some kind of hub of projects might have most potential impact. 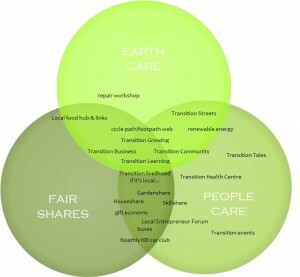 Of course, all projects can be designed to hit the sweet spot as far as possible. Here I used the principles to generate ideas for the design. It was really a brainstorming exercise and would yield much better results if done with others. 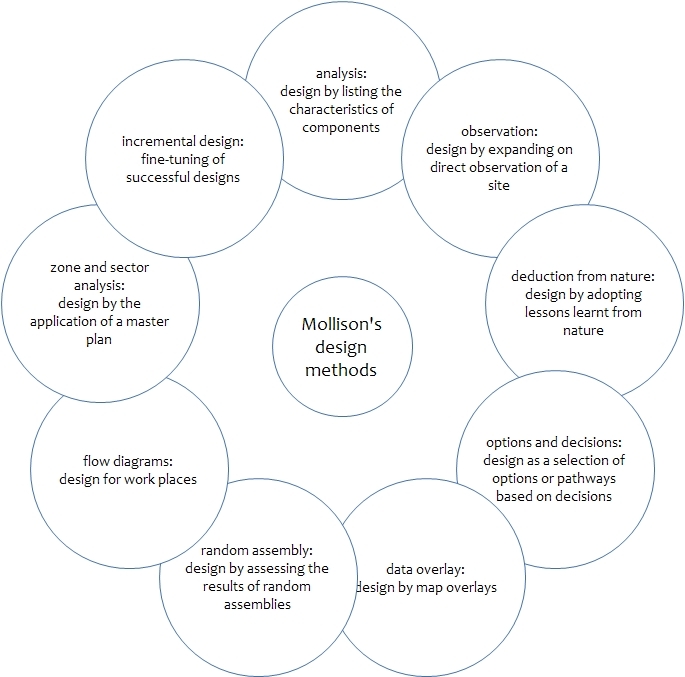 incremental design: creating a pathway and working on designs within designs in collaboration with others over time.